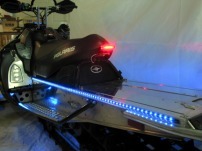 This Polaris Dragon has 420 Blue LEDs and custom lighting to make it a true one of a kind sled! 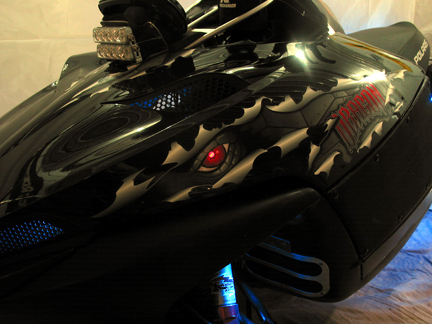 The sled started out as a Dragon RMK, and has LED strips along the seat and under the tunnel, then has a 8 pack of round LED modules under the hood and in the shock towers, a set of Red Dragon Eyes LEDs, and a custom LED Fog light for the headlight. 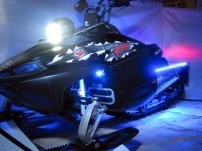 All these items are available to customize your sled! 420 Blue lights makes it GLOW! !